Product information "Oenostick V 14 - Seguin Moreau"
An oenological innovation for ensuring differentiation and cost effectiveness of a range of wines matured in aged oak barrels. A specific association of oak species cured and heated specifically for full expression of their oenological potential. A unique tool that ensures flavor profile complexity and authenticity of your wines. Discreet oak notes that retain the wines’ fundamental fruity expression. Increase in volume with no excessive structuring to preserve roundness and balance on the palate. - Red wines: Early contact is recommended (just after malolactic fermentation). 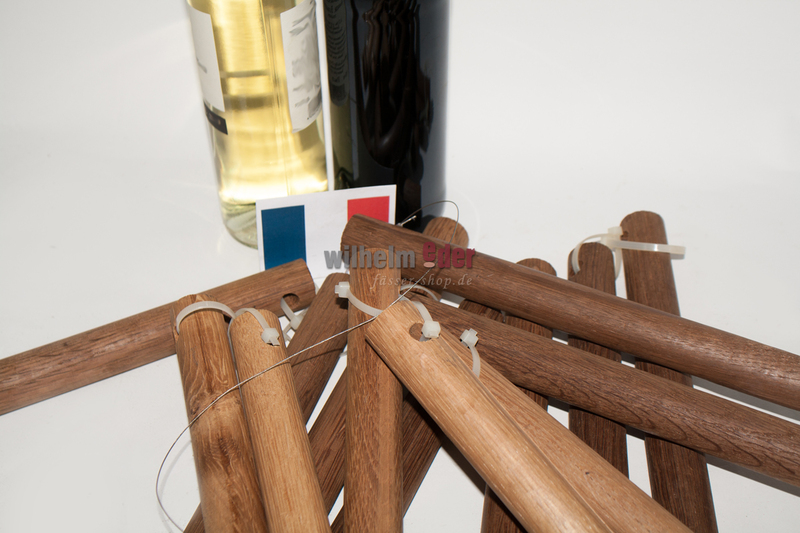 Can also be used on a wine during maturing. In all cases, we recommend racking first. - White wines: During alcoholic fermentation or immediately afterwards. If implemented on a full barrel, the volume of wine that corresponds to the model should be removed beforehand. Please contact our sales team to get good and correct information about the quantity to use. Recommended contact time: 3 to 6 months. 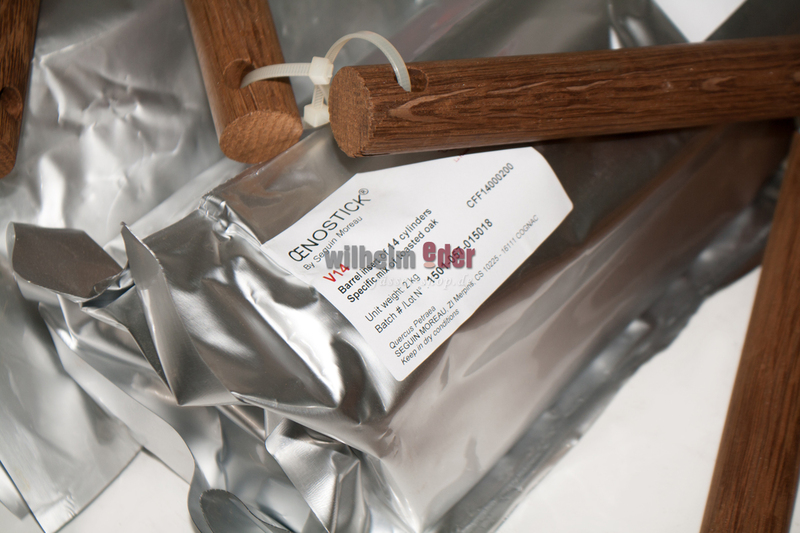 For full development of OENOSTICK® qualities, the sanitary conditions of the barrels must be optimal with rigorous tartrate removal and absence of any microbiological or chemical contamination. This product is sensitive to odors and airborne contaminants. For best results, store in its original packaging, with no ground contact and in a cool and odorless environment. Recommended shelf life: 3 years when stored in its original PE-ALU packaging. The OENOSTICK® range is subject to rigorous manufacturing conditions that aim to guarantee food safety and to meet current regulatory requirements. The choice of highest quality packaging materials ensures maximum protection against potential contaminations during transport or storage. Prescribed designations: Oak wood pieces. - Regulation EC N°1507/2006 dated the 11th October 2006. - Resolutions n°03/2005 and n°430/2010 of the oenological Codex adopted by the OIV. - Regulation EC N°606/2009 dated the 24th July 2009, appendix 9. 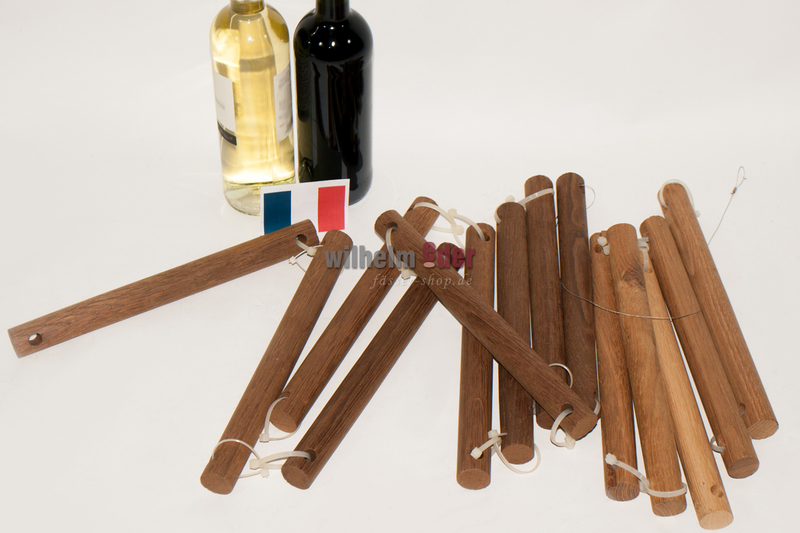 The use of oak wood pieces for oenological usage is subject to regulation. SEGUIN MOREAU cannot be held responsible for improper usage of its products.